Real-time PCR specialist Primerdesign approached Spectre to help develop an innovative and fun way to reward their customers. Every office loves it when sweets arrive, but Primerdesign wanted a more fun and lasting way to reward their customers. 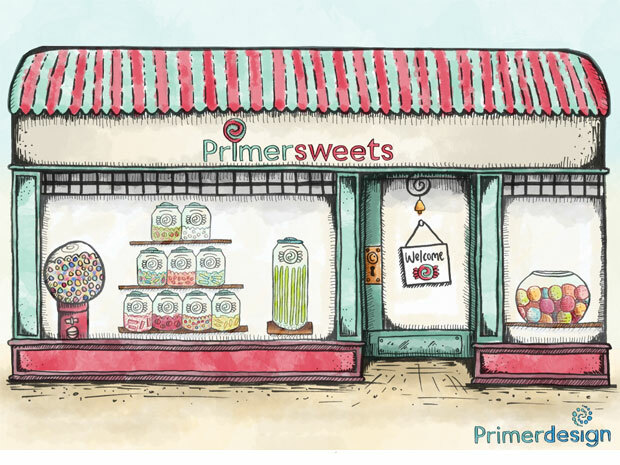 Working with Primerdesign, we put our thinking caps on and came up with 'Primersweets'. 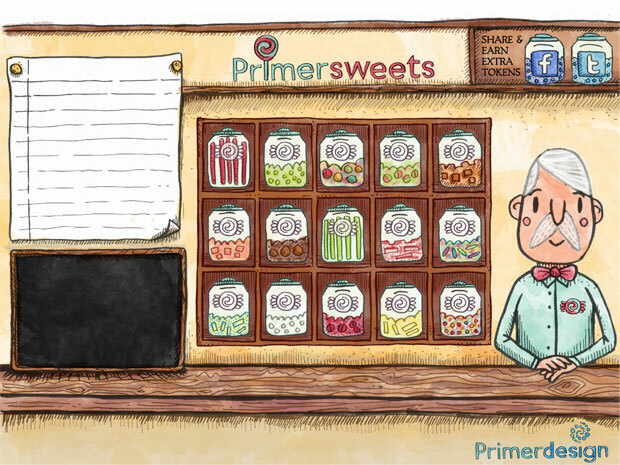 Primersweets, is a virtual sweet shop from another time and place. A place that is filled with Dickensian wonderment, that allows you to revisit your childhood, meet Albert the shopkeeper, whilst choosing from a selection of delicious sweet treats. Spectre worked with uber-talented illustrator Will Aslett http://www.willaslettdraws.com/ to develop a super-cool vintage illustrative style, akin to TV's Mr Benn. We also commissioned a bespoke theme tune, to add to the quirky flavour. We then set to work building a fully content managed Flash site, using the illustrations, animation and audio. The CMS incorporates product, orders, client and voucher, management modules. The result is a unique customer loyalty experience that people love and want to share socially.